The Duchess of Sussex, born Meghan Markle, married Prince Harry at St George's Chapel, Windsor in May 2018. The couple's official residence is Kensington Palace. As well as undertaking royal duties in support of The Queen, both in the UK and overseas, The Duchess devotes her time to supporting a number of charities and organisations. The Duchess of Sussex became a member of the Royal Family in 2018 upon her marriage to Prince Harry. She will perform Royal duties in support of The Queen through engagements at home and overseas, alongside a growing portfolio of charitable work and patronages. Ms. Meghan Markle was born on 4th August 1981 to Ms. Doria Ragland and Mr. Thomas Markle in Los Angeles, California. The Duchess attended the Hollywood Little Red Schoolhouse from the ages of 2-11 and began her secondary education at Immaculate Heart High School in 1992. Her Royal Highness went on to double major in Theatre and International Relations at Northwestern University in Evanston, Illinois graduating in 2003 with a dual degree. During her time at university, The Duchess completed an internship at the US Embassy in Buenos Aires, Argentina, where she learned to speak Spanish. She also studied French for six years. After university Her Royal Highness worked as an actress, appearing in film and television. She most notably played the role of Rachel Zane on the series Suits for seven seasons, completing over 100 episodes. Whilst working on Suits, The Duchess moved to Toronto, Canada where the show was filmed; she feels very connected to Canada, as it became a second home to her. Alongside her successful career as an actress, Her Royal Highness also wrote and edited a lifestyle website called The Tig which she used as a platform to discuss social issues such as gender equality in addition to articles on travel, food and fashion. From a young age, The Duchess had a keen awareness of social issues and actively participated in charitable work. Aged 11 she successfully campaigned for a company to alter their television advert that had used sexist language to sell washing-up liquid. Her Royal Highness also volunteered at a soup kitchen in Skid Row, Los Angeles from the age of 13-17. She continued to volunteer at the soup kitchen when she would return home to Los Angeles until the age of 22. These early experiences helped to shape her lifelong commitment to causes such as social justice and women's empowerment. While filming in Toronto, The Duchess actively volunteered at a Canadian soup kitchen from 2011-2013. She also established the program at her place of work to ensure that leftover meals from the set were donated to local homeless shelters. Her Royal Highness became involved with the organisation One Young World in 2014 when she was asked to become a Counsellor for the charity. One Young World is a global forum that gathers together young leaders in order to develop solutions to some of the world's most pressing issues. She attended panels for One Young World in Dublin, Ireland and Ottawa, Canada. In 2015, The Duchess became the UN Women's Advocate for Women’s Political Participation and Leadership. In this role, she gave a speech on the importance of gender equality on International Women’s Day for UN Women in New York City. Ahead of her appointment to this role, Her Royal Highness spent time at the UN's New York office to understand the organisation's day-to-day work before embarking on a learning mission to Rwanda. On this trip The Duchess met female parliamentarian leaders in Kigali and visited Gihembe refugee camp, where women were working on leadership and empowerment at a grassroots level. In addition to her role with UN Women and One Young World, Her Royal Highness became a Global Ambassador for World Vision in 2016. 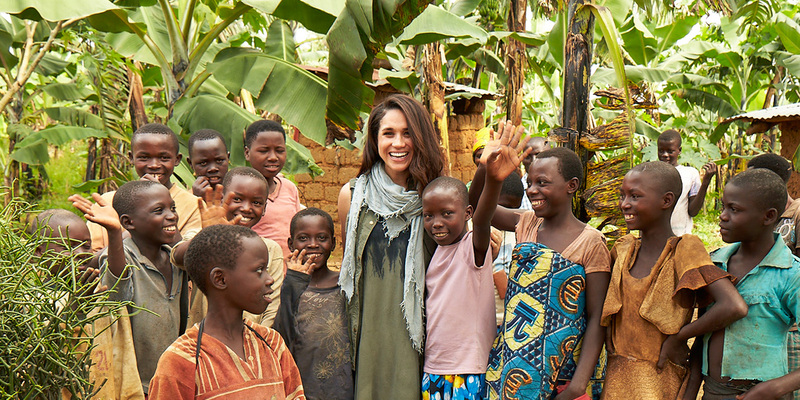 As part of her work with the charity The Duchess visited Rwanda on a clean water campaign that would work to allow young children to continue their education. In 2017, Her Royal Highness undertook a second learning mission with the organisation when she visited India with World Vision to bring a greater awareness to girls' lack of access to education. 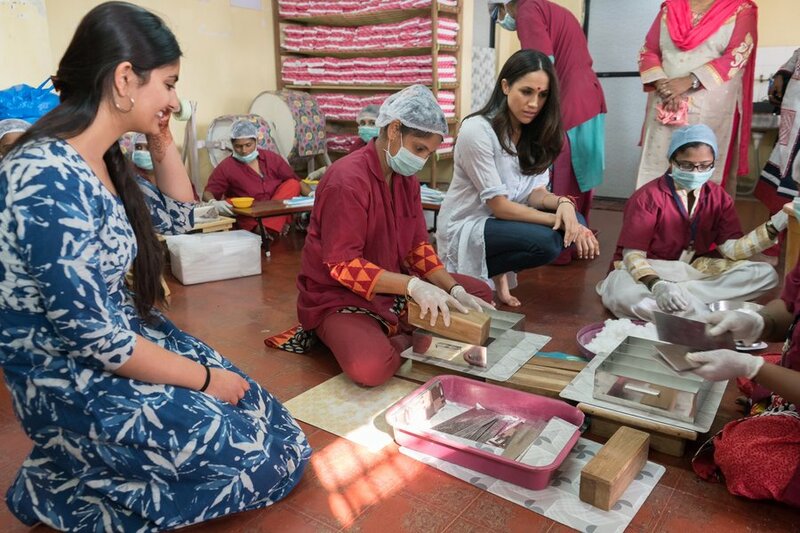 In the slum communities of Mumbai, The Duchess witnessed the work of the Myna Mahila Foundation who empower women through access to menstrual hygiene products and employment opportunities. Struck by her experience, she wrote an op-ed for Time Magazine about the stigmatization of menstrual health management and its long term hindrance to girls’ education. 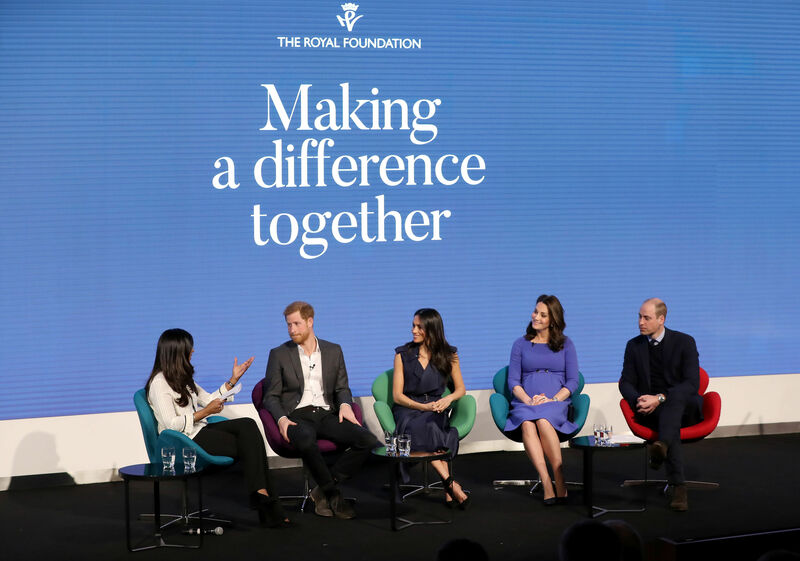 The Myna Mahila Foundation is one of the charities chosen by the couple to benefit from charitable donations made for the Royal Wedding. Along with Prince Harry, The Duchess has spent several months since the announcement of their engagement visiting local communities and organisations across the UK both publicly and privately. The Duchess also attended The Royal Foundation Forum, of which she will become a Patron, and took part in engagements during the Commonwealth Heads of Government Meeting in London. 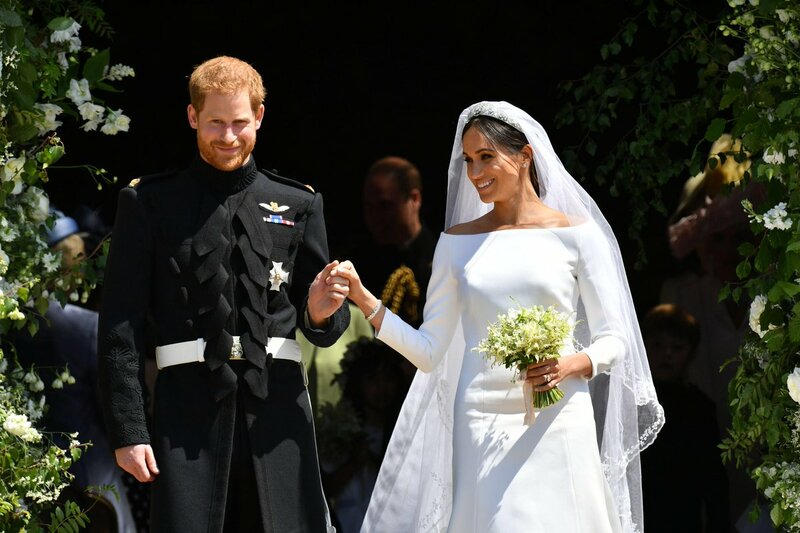 On 19 May 2018, Prince Harry and Ms. Meghan Markle were married at St George's Chapel, Windsor. The couple are now known as The Duke and Duchess of Sussex. Their official residence is at Kensington Palace.